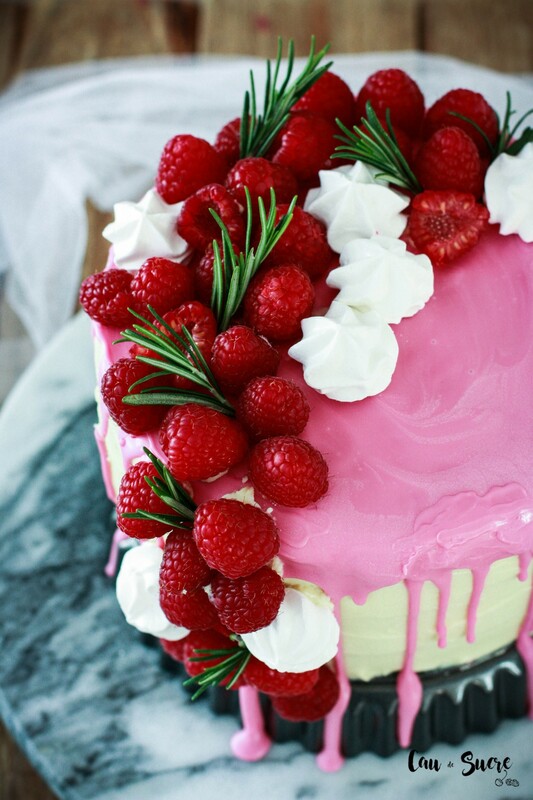 This wonderful cake does not need any presentation lacks, does it? 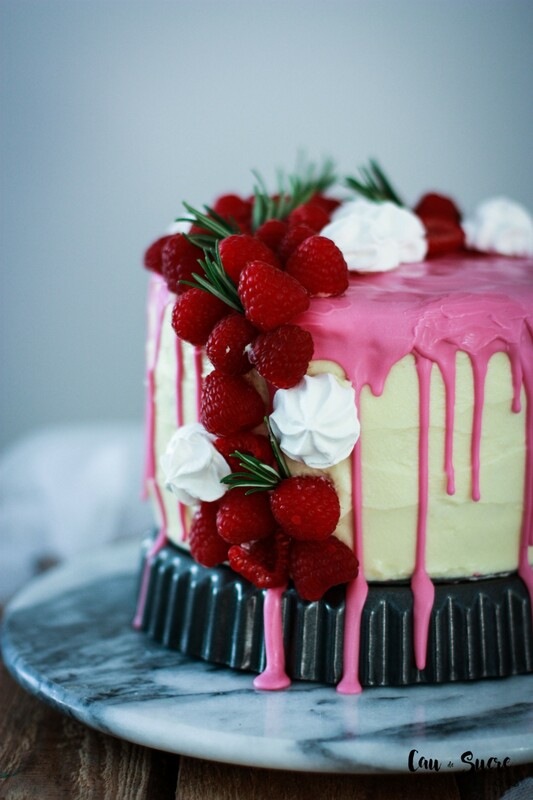 It’s equally decadent and delicious, an exquisite blend of layers of the best and most fluffy vanilla cake I’ve ever tasted, as filling my favourite mascarpone cream and raspberries and with a thin white chocolate ganache frosting. What do you think? A total sin, right? 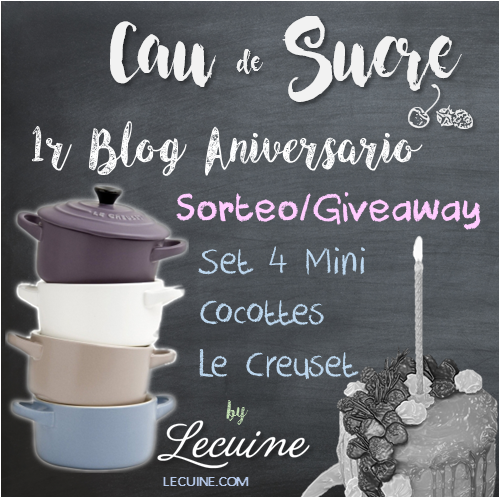 Well this post could not be less because Cau de Sucre celebrates its first anniversary!!! A year has already passed since I published the very first blog post, those wonderful “Cow Girl Cookies” that are so special for me. 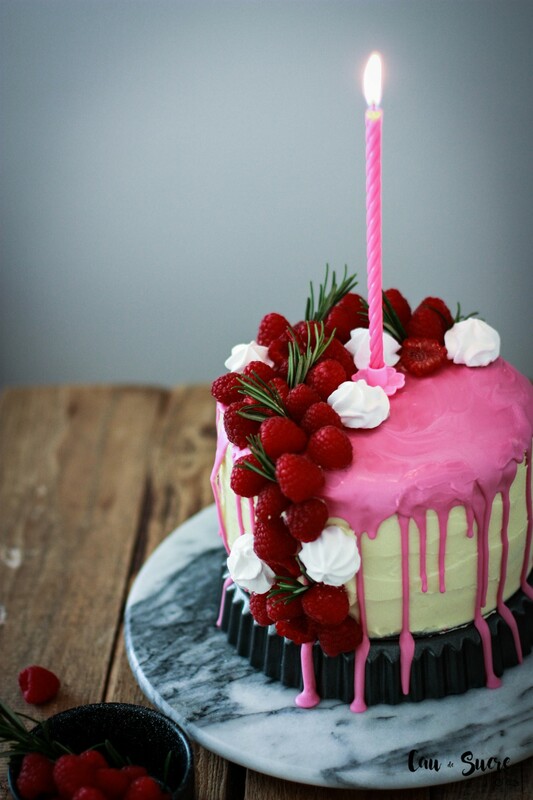 And it’s a day to celebrate with a cake up to such an event and also with a giveaway, of course! The blog is feeling generous! At the end of the post I explain how to participate and what will be the prize. It has also opened the door for me to connect with other bloggers from the same topic and followers of my blog who are great people, even if I do not have the luck to know them in person. Each and every one of the “likes” or comments that have left me during this year have made me immensely happy. On those hard days, when you feel like giving up, or have had problems in my personal environment, these people have unknowingly managed to fix my spirits and make me regain my motivation and hope. That’s why I could never thank you enough. And well, this has been very briefly the reflection on the first year of the blog, a year in which I learned a lot but that especially helped me to realize that I will never stop doing this!! And what will come next year? Well keep on improving; The photography is still disastrous, so there I have to put a lot of effort, but step by step, now when I see the photos of the beginning of the blog I fell so ashamed, hehehe. And of course, to improve my baking skills that are far from being a professional. But for that I do need a lot more practice (especially with the damn macarons grrrrr) And if someone has enough money and I want to pay me a good course, will be very welcome 😉 And probably the most important thing, take time from somewhere to improve the writing (especially the English version), to be able to do a little more networking, to publish more often, and an endless list of things, aaaaahhhhhh. 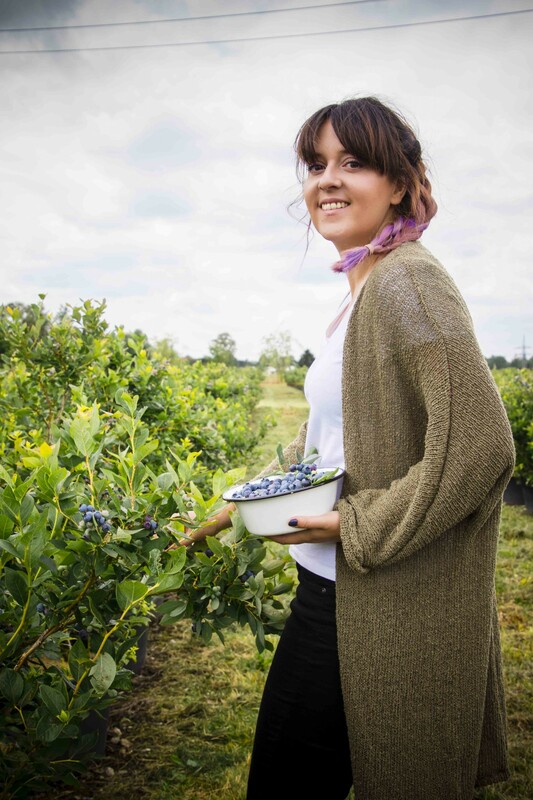 And most importantly, teach you the best recipes and encourage you to do them, that is what really makes me happy! What has been your favorite recipe of this first Blog year? You can lie, obviously, I’ll never know it, hehehe. Although I would love you to be sincere so I can also know what it is that people like to do more recipes of the same style in the future. Today’s post has been very long, I hope you forgive me for this special occasion. I leave you with the recipe, success assured as a birthday cake, they will be astonished!! And lots of luck in the raffle!!! And a beautiful birthday candle !! 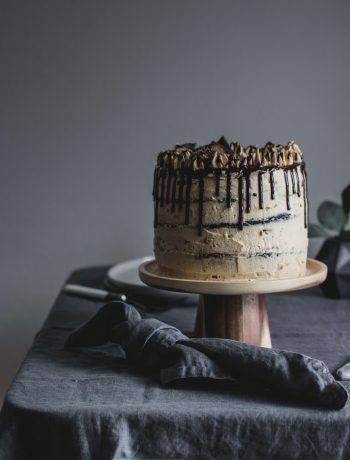 As always, for this type of cake is better if you organize and prepare the cake the day before or several days before and freeze it. The ganache can also has to be prepared in advance, it should rest for a couple of hours at least, better if done the day before. Preheat the oven to 170ºC. Grease 2 molds 20 cm in diameter and cover with baking paper also, this cake is very delicate and helps not to break when unmolding. In the bowl of the electric mixer, pour the eggs, sugar and vanilla and beat at high speed for 5 minutes until the mixture doubles the size and turns almost white. Incorporate the flour in 4 or 5 additions, sifting in the form of rain on the egg mixture and stirring gently and enveloping movements. Distribute the dough evenly in the molds and bake for about 30 minutes, in any case, check by puncturing with a wooden stick that are well baked. So that the sponge cake does not come down, leave to cool inside the oven with the door half opened for 30 minutes more. After this time, remove from the oven and cool completely on a rack before unmolding. To prepare the raspberry cream from the filling, beat the mascarpone with the cream and the icing sugar until it is a creamy mixture (2 minutes approximately). In a cup, mix the gelatin with the water and leave it to stand for about 5 minutes to harden . Heat in the microwave for 10 seconds to dissolve. Stir in the gelatin and raspberry powder to the whipping cream until they are integrated. Cool the cream in the refrigerator at least 1 hour before filling the cake. To prepare the ganache, chop the white chocolate into a bowl. In a saucepan heat the cream until it boils and pour it all into the chocolate bowl. Do not mix, let stand for about 10 minutes until all the heat has been transferred to the chocolate before starting to mix. Mix with a stick until all the chocolate is completely melted. 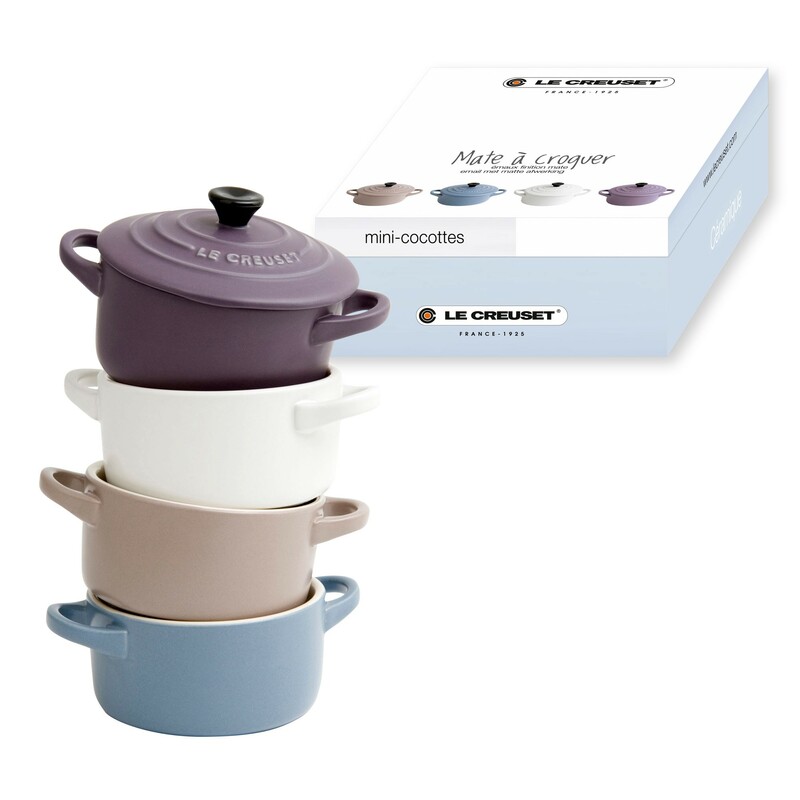 Cover the bowl and let stand for a minimum of 2 hours, better if you do the day before and leave it over night. 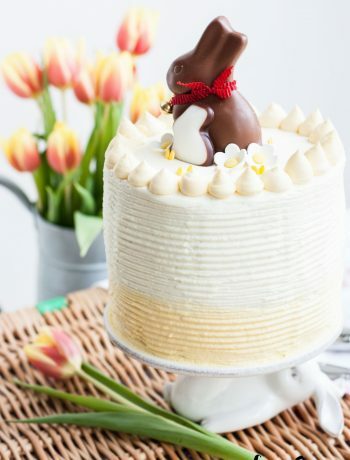 Once the ganache has rested, whip it with the electric mixer and the whisk attachment until it acquires the consistency of a buttercream and becomes much whiter. The next step is to assemble the cake. 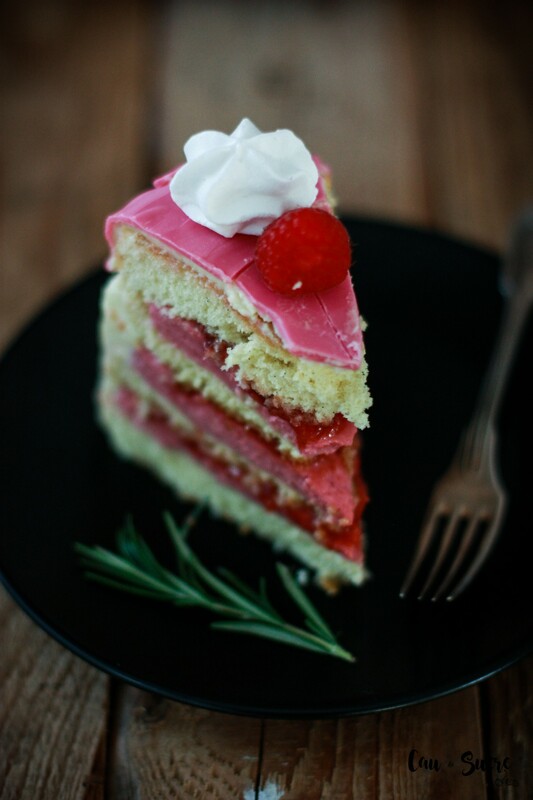 The first thing is to level the cake layers so that they remain flat on the surface. 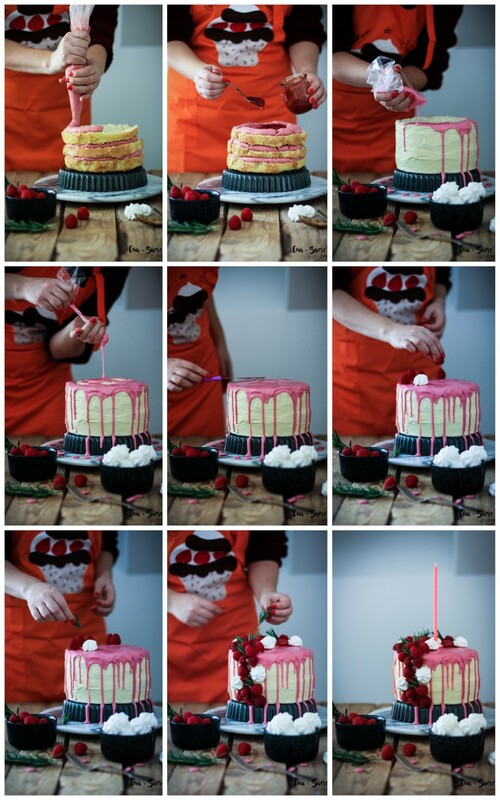 If you want to make 4 layers, cut each of the cakes in two equal halves. Place the first layer of base and fill with mascarpone cream. Cover with a little jam and then another layer of sponge cake, and so on until you have all the layers. 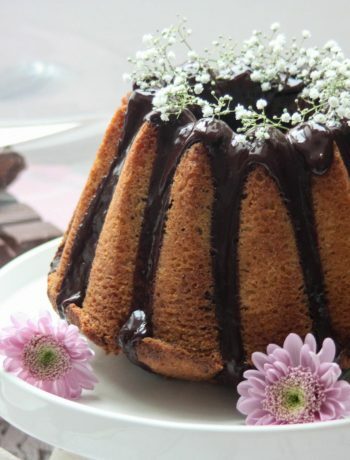 Frost the cake with a thin layer of ganache and put the cake in the refrigerator for 30 minutes. Remove from the refrigerator and finish covering the whole cake with the rest of the ganache. Melt the Candy Melts in the microwave, stuff a small plastic bag with the liquid and cut a very small piece of the tip. Use it to make the drip effect of the cake. 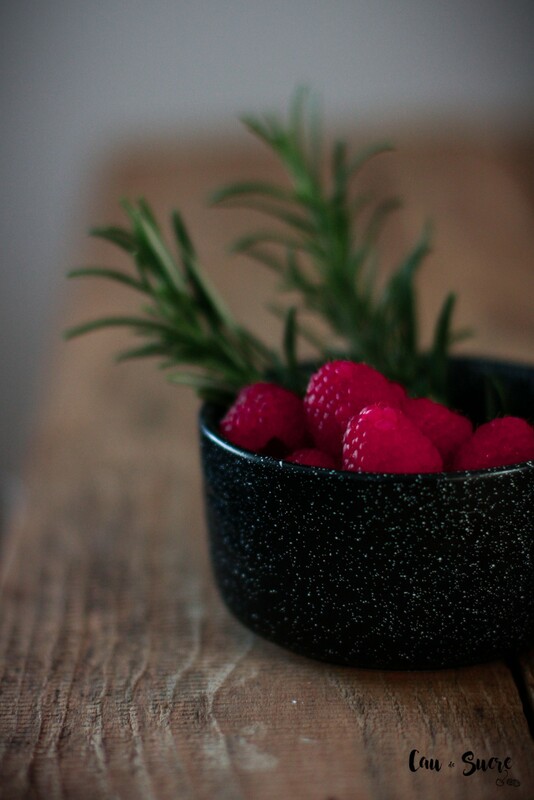 Decorate to taste using fresh raspberries or anything you like and enjoy !!! The cake should be kept in the refrigerator because of the mascarpone and the cream.